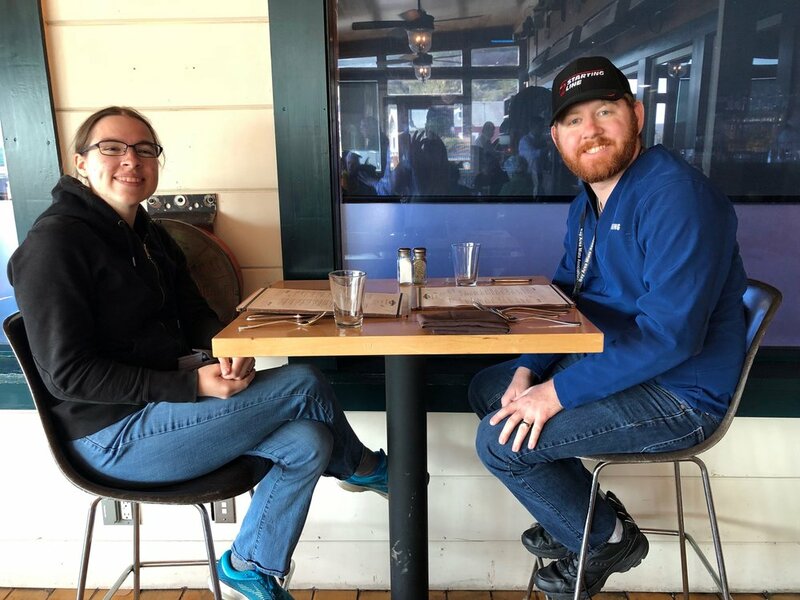 The very popular Phil’s Fish Market at Moss Landing drive, which had to be rescheduled due to inclement weather, began at Starbucks early Saturday morning. Fifteen cars arrived, including three new members who were welcomed to their first BAMA drive. 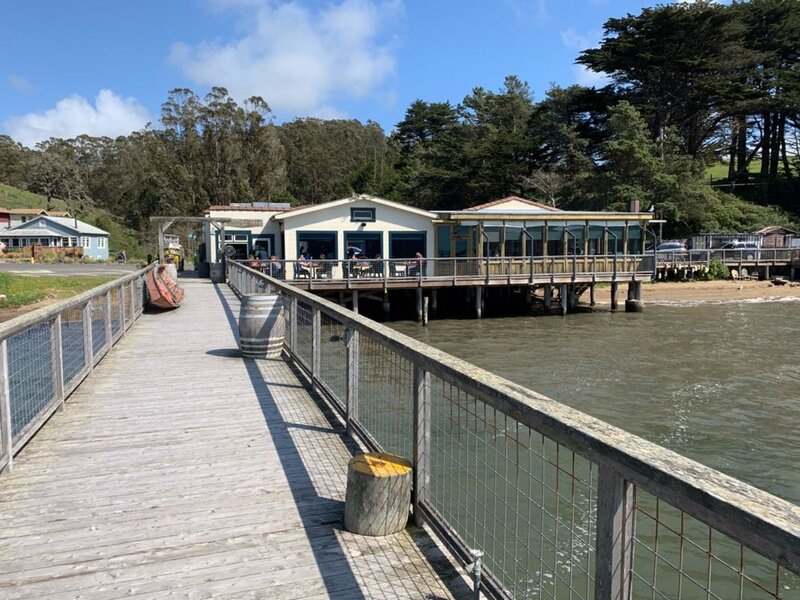 It was a clear, sunny, cool morning and we headed out around 9:30 am to Phil’s Fish Market and Eatery at Moss Landing. Matt, our lead driver, took us on a twisty, turning Soquel road which delighted all the drivers. The extra potholes and debris alongside the road were clear indications that there had been rain storms in the area. First stop was Phil’s Fish Market. 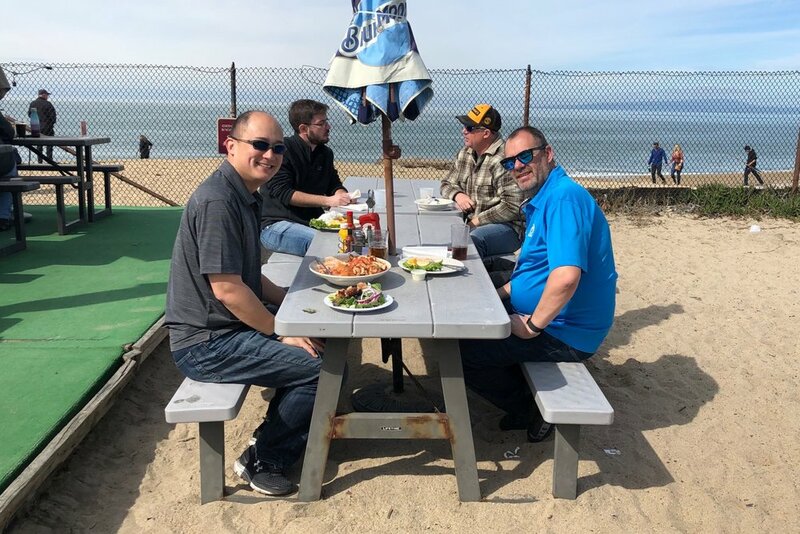 The weather warmed enough for us to sit outside at the picnic tables and enjoy our delicious lunch and get to know our new members. From Phil’s we drove to Succulent Gardens in Castroville where we found a large green house filled with beautiful succulent plants. Some of us bought plants to add to our home gardens and promised to return for more. We then drove to Gizdich Ranch in Watsonville and introduced our new members to the Ranch’s fabulous pies. We enjoyed apple, dutch apple, berry & strawberry rhubarb, ala mode optional. Our bellies full of really good food and happy the weather cooperated providing us some sunshine, we headed to our homes. And, yes, most of us carrying additional Gizdich pies. We drove on to Uvas Reservoir to check out the height of the water after all the recent rains. BAMA held its annual meeting with a full house of attendees and welcomed the new BAMA board of directors for 2019 on Sunday, January 20. The agenda covered exciting plans for new drives and some overnight trips to be coordinated by our event committee. New ideas were proposed for recruiting new drive leaders and providing them with planning support. Be sure to check the event calendar on the website and look for notifications on the BAMA Facebook page for scheduled events. We want to give a big-shout out to the generous hospitality of OakTree Mazda for making their conference room available to us and for providing tasty sandwiches for lunch. Thanks to Gary and Wendy for bringing coffee and breakfast treats. Thanks to those of you who voted in this election. Your participation in the club is valuable. 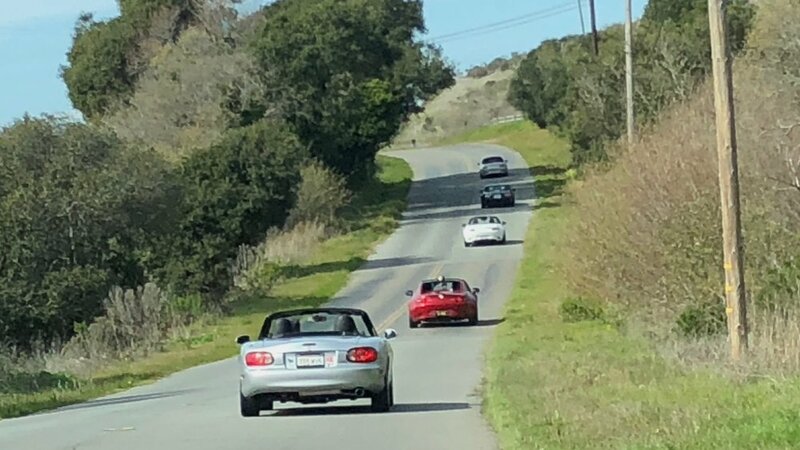 It's the First of January, so time to continue the "tradition" that was started last year... take the Miata's out for a top-down run to begin the year. We met at woodside, there was quite a few polar bear's in attendance... then we headed off towards our first stop at La Honda Creek Open Space Preserve, it was nice and clear but quite a fresh breeze bringing the temperature down. After a quick stop for photos and to use the restroom, we continued on to San Gregorio general store. 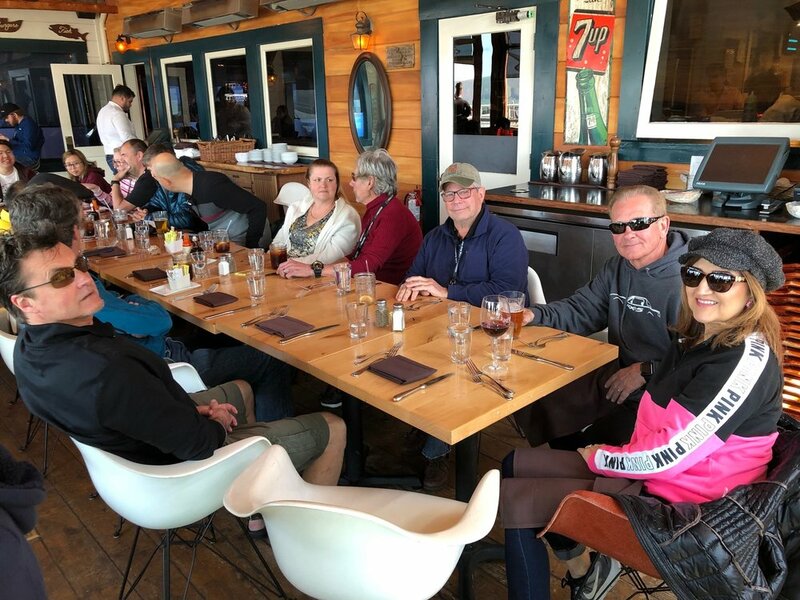 The next stop was at Camerons Pub in Half Moon Bay for lunch, we got split up as there was an accident in the other direction which happened right in front of some of our members. Luckily none of our members were involved but a couple did have to make evasive maneuvers to avoid being caught up into the accident. Several members stayed at the scene of the accident until emergency services arrived. This served as a reminder that we are all vulnerable, especially when you are in a convertible and a pickup is heading towards you having been hit from behind. After this incident, we regrouped at Camerons and had lunch, before heading off home. 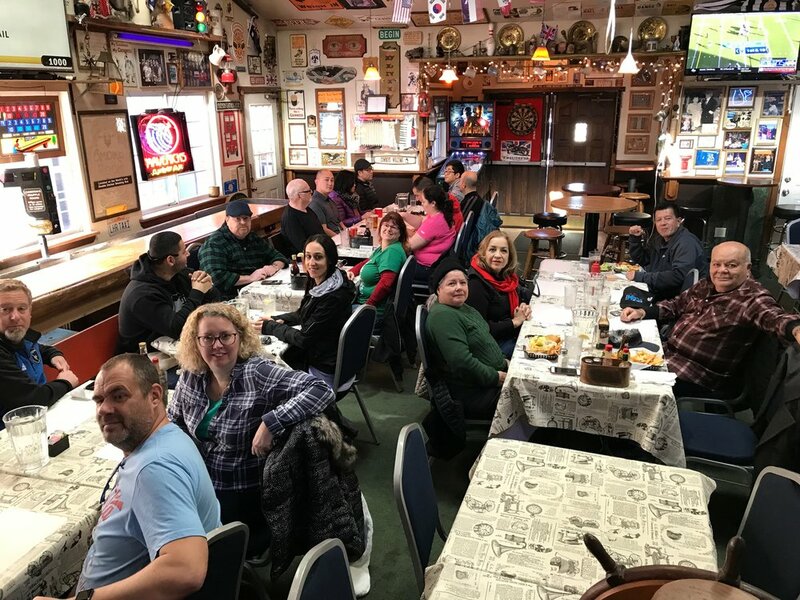 The Bay Area Miata Association members, almost 40, had a marvelous luncheon at the Livermore Campo di Bocce Restaurant on December 9, 2018. We feasted on delicious fresh salads, pasta dishes and to top it off a plate of wonderful desserts to include Tiramasu, New York Cheesecake, cannoli, flourless chocolate torte, etc. Many thanks to Rollo & Penny for the party favor snowflakes, and to Shirley for her creative peanut butter cup Christmas trees. Shirley directed the raffle, we had many happy winners of some really creative, generous prizes. Special thanks to Penny who made two “Cars” blankets this year for the raffle. Thank you to Mike, Shirley, Laurette, Joy, and all who helped with this year’s delightful Christmas party. 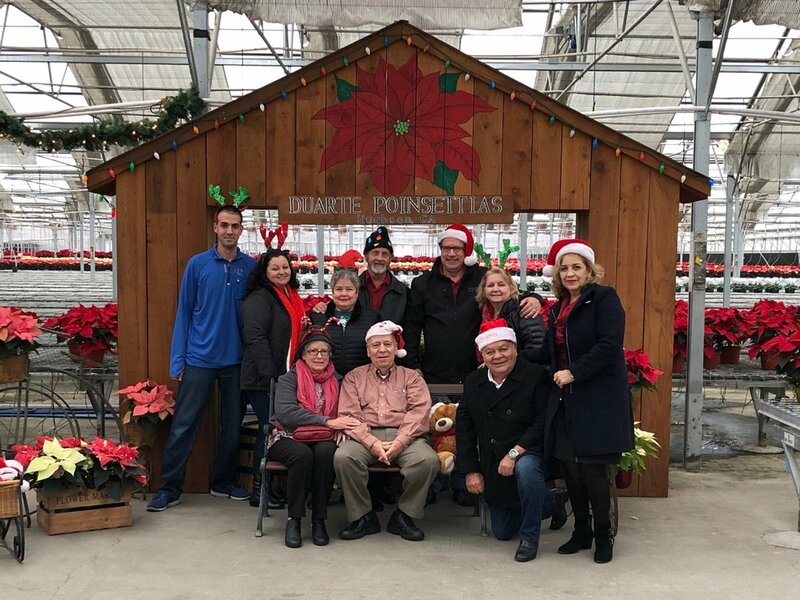 After the party, eight of us braved the Livermore fog and drove to Duarte’s Poinsettia Nursery. We all filled our Miata trunks, best we could, with lovely Poinsettias and cyclamens. Thank you Mike for leading this drive. A group of old and new BAMA friends gathered early on a Saturday morning in Pleasanton for a day of backroad adventures on California’s scenic highways and byways. A total of 21 Miatas and 30+ people joined in on the fun-paced journey. We got started with conversations and coffee at Starbucks while welcoming new members and catching up with longtime friends. We were delighted to see serveral established members participate in the day’s drive. Gary (VP) presided over the driver’s meeting reminding everyone of the rules of the road, no speeding, arms up when spotting a bicyclist, lights on, and how to follow the leader and sweep car when pulling out onto the road after a regroup stop. Matt and David the first time leaders of a BAMA drive gave a brief overview of the days events and we were off on the day’s adventure. We survived the freeway traffic and once off the main highways were treated to vistas of rolling hills of golden grasses that help give California the name “Golden State”. The rolling hills gave way to beautiful lush green trees, farmland with saplings and vineyards full of grapes not yet ready for harvesting. We saw sheep, dozens of goats along a highway fence, many cows, and enjoyed the special aroma of farmland. We passed the slowly churning wind turbines generating electrical power for the state. Every now and then we spotted a palm tree or two just to let us know, yes, we’re still in California. Our first stop was in Rio Vista for a pit stop and a visit to a bakery, but the town decided to have a carnival in its center that left little parking for our large bevy of cars. We regrouped and headed to our lunch designation in the small town of Isleton. All 30+ of us lined up outside of the My Sweet BBQ to place our orders. A neighboring establishment opened its doors to accommodate our crowd. We enjoyed touring the little town and visiting small unique shops while waiting for our lunch. Conversations led to learning about summer vacations in Bryce & Grand Canyons, cruises to Cabo San Lucas and droning and scuba diving in in warmer waters off the coast of Mexico as well as future vacations to Portugal and beyond. Matt and David the dynamic duo pulled double duty and helped My Sweet BBQ staff pass out our lunches. We were delighted with delicious Tri-tip and Chicken BBQ plates, as Gary said you could cut the meat with a spoon. The BBQ was served with ample sides of potato salad, macaroni salad, cole slaw, range beans & collard greens. Fueled by happy stomachs full from a delicious lunch we headed off to have dessert at Mel’s Mocha & Ice Cream in Walnut Grove. Enjoying more spectacular scenery we feasted on delicious ice cream and shakes. Our dessert cravings satisfied we headed to our next destination in Clarksville, the Old Sugar Mill. We were treated to live music, and an array of shops full of olive oil & wine to purchase and enjoy at home. There was a couple of enticing food trucks, however we were so full from lunch and ice cream we just couldn’t. We decided to save the Grand Island Mansion and the Western Railroad Museum for another drive and all headed to our homes happy from a wonderful day of driving top down and enjoying the fabulous weather and food that California has to offer. Many thanks to Matt & David for putting together a fun and adventurous drive through the Delta region of California. We sincerely hope this is the first of many adventures from this dynamic duo. On Saturday, September 29, 2018, we met at the Starbucks in Morgan Hill. Around 10:00 am twelve cars and twenty-one people were off on a wonderful adventure driving the backroads of South Bay. We drove along the east foothills of Morgan Hill and Gilroy down to Hollister. While driving through Gilroy we enjoyed the usual delicious smells of rows and rows of garlic. We saw wonderful farms full of galloping goats and other livestock. All stopped at the Paicines General Store on Airline Hwy 25 for a break and stocked up on snacks and sodas. We drove South on Highway 25 and back through downtown Hollister to our lunch destination, Dunneville Café & Market. Several were treated to delicious sandwiches full of tri-tip beef. Others decided to have breakfast, chicken sandwiches, and other delightful dishes. There was a Bocce ball court on the premises, however, we all were anxious to get back on the road for more adventure. We took the Roop Loop through the foothills past Coyote Lake and the old Gilroy Hot Springs. We crossed west through San Martin and those that continued the drive returned to San Jose and were treated to “custom make your own milkshakes” at My Milkshake. Thanks to Kurt for planning and leading another wonderful drive. The weather was just right, and we couldn’t ask for a more pleasant day and drive in our Miatas. 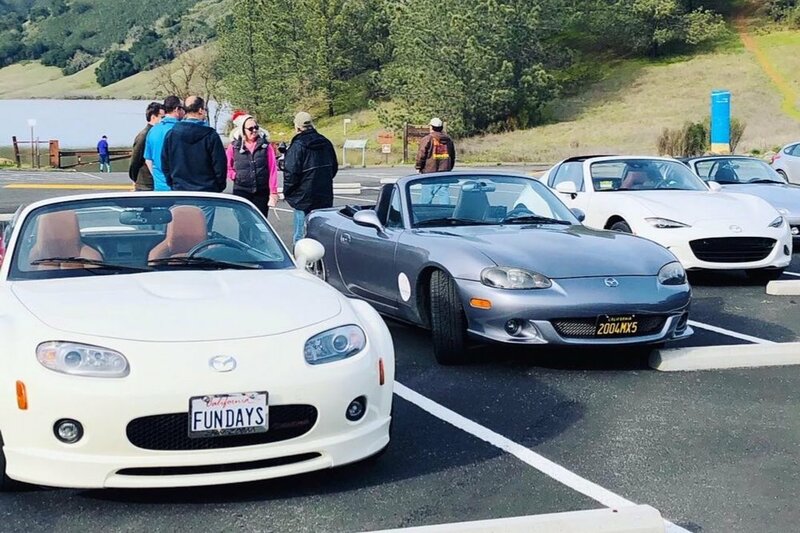 Several BAMA members joined hundreds of Miata enthusiasts at the world famous Laguna Seca raceway for a fun packed weekend. A number of longtime BAMA members also volunteered at the event. Lining up for a parade lap. Those with a need for speed had an opportunity to do hot laps and test their driving skills. Some got to ride along with a pro driver on the track. Others chose to enjoy the easier pace of the popular parade laps. There were vendors on site with displays and demos and product specials. People enjoyed tasty barbecue and the car show provided opportunities to show off the prized Miatas while sharing stories and good times. Making a pass by vendors alley. All tuned up and ready for the track. Historical MX-5s on display in the paddock. It is with much sadness and a heavy heart that we announce that our member Peggy Fung passed away on August 23. She and her husband Allan have been members for many years. Peggy will be remembered as a lovely lady, someone you would enjoy sitting next to at lunch. Easy to talk with fun to be around. I personally will miss her and I am sure our club will also. We extend our heartfelt sorrow and condolences to Allan and their family. Peggy's obituary can be read on SFGate.com. Nine Miatas met at Starbucks in San Jose at 9:00 a.m. to go on an adventure, a Scavenger Hunt, in our roadsters. Gary & Wendy Allen led the hunt and provided the rules and list of 50 items/places to be hunted and photographed. We all departed at or around 9:30 a.m. with plans to meet up again in Niles for a picnic lunch with our list of photographed items. Some stayed around the San Jose area as items on the list included a “Google bike”, an Apple icon (not on an iPhone or iPad), a donut shop, an In-n-Out burger & a Philz coffee, none of which were in Niles. Others headed to Niles to hunt & photograph. Some of us were lucky enough find parking close to Niles and walk around town before lunch time. A crowd of car enthusiasts were having an antique car show which was a photography jackpot for our scavenger list which included a California license plate in the old blue & gold colors, a non-Miata convertible, and a car older than 1970. However, a California state flag (on the list) was nowhere to be found. Other items on the list were: a "do not enter" sign, something that flies, train or bus transportation, auto parts shop, graffiti, public art, a "one way" sign, drive thru, mailbox, etc. The most difficult item to find was a public phone which was worth 50 points, two participants were lucky enough to find one. Most items were worth 5-20 points. The object was to reach 400 points at, not before or later, than 12:30 p.m. and to have the least amount of miles getting those 400 points. The directions and rules were a bit fuzzy for most of us, but all in all everyone had a great time. We had a wonderful picnic lunch at Quarry Lakes Park, it was a CA beautiful day. Participants were polled for their number of points and their mileage. The winner of the day was Brad Rex who was presented with a Gary Allen original wood worked BAMA logo. We hope Gary still has the pattern as this will more than likely be commissioned as a prize for future contests. Huge thanks to Gary & Wendy for arranging and leading the Scavenger Hunt. With a little clarification of the directions and rules we could definitely make this an annual event. With little notice, we received an invite from Mazda to attend a small fan event on Treasure Island. 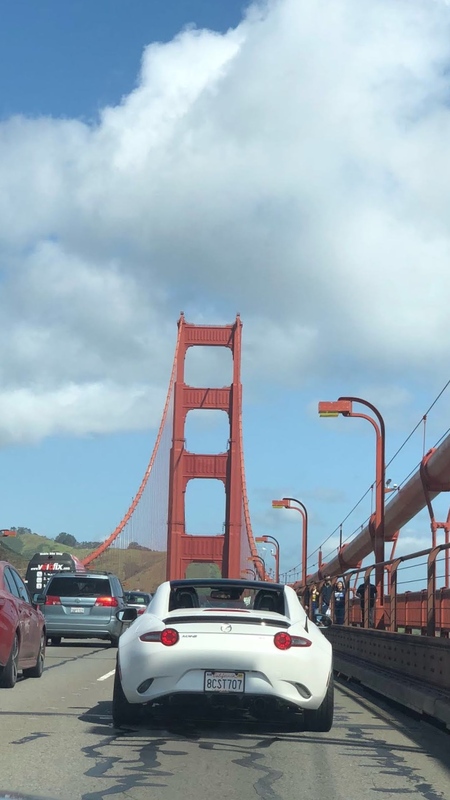 Driving up the coast from San Diego to Seattle, the Mazda Miata Summer Tour made a pit stop in San Francisco to show off their 2019 Miata models. It would have been great to get more members of the club to join us, as it appeared that Delta was well represented, even at short notice we showed up with 5 or 6 cars. 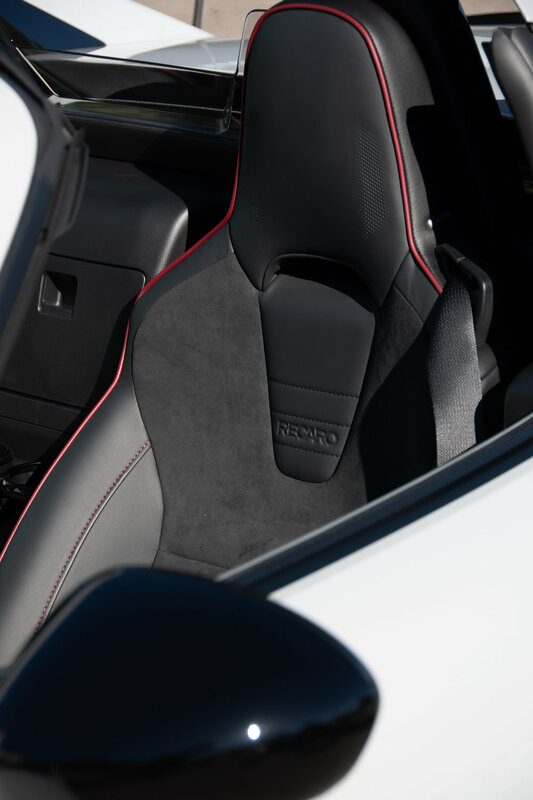 Having made personal contact with the Mazda PR team, they are keen to help promote our club as they understand the reason the Miata has been so popular for almost 30 years is the loyal collection of owners and enthusiasts. Who will be first to get one? We appeared to be the only club to arrive with, not 1 but 2 supercharged Miatas, an NA and and RF. The Mazda PR team were keen to chat and obviously fans of all generations of the Miata not just the latest. 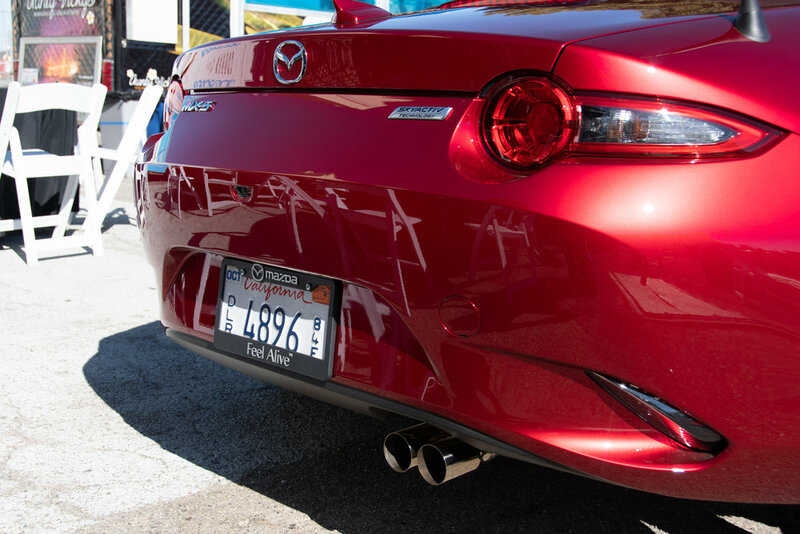 Along with the main attraction, a Soul Red ND2 (Auto) and the Ceramic RF2 there were Food Trucks and Pizza, what more could a Miata owner ask for... (well maybe some decent twisty roads and not just the Bay Bridge and construction site that Treasure Island is currently). The external changes to this years models are almost invisible from the any distance. The most obvious one is the addition of a rear view parking camera (a requirement by law on all 2019 vehicles). You can spot the 2019 by the rear camera. not as obvious on the Soul Red as the Ceramic. Most people will be excited by the modifications to the engine, more power, higher revving, lighter flywheel. All welcome changes, whilst not huge changes, the continuing evolution of the Miata line. This is now the most powerful stock Miata ever released at 181 BHP (+26HP over the 2017/2018 models). It was a short couple of hours, but nice to see the new cars and for Mazda to recognize how much local clubs do to continue the Miata legacy. I would like to thank Shannon, Tim and the rest of the Mazda PR team for arranging the event and for inviting us along. We look forward to attending future events and including many more of our members in them. We met at Pacifica Safeway parking lot on Saturday morning at 10 a.m. to socialize and give pre-drive briefing. 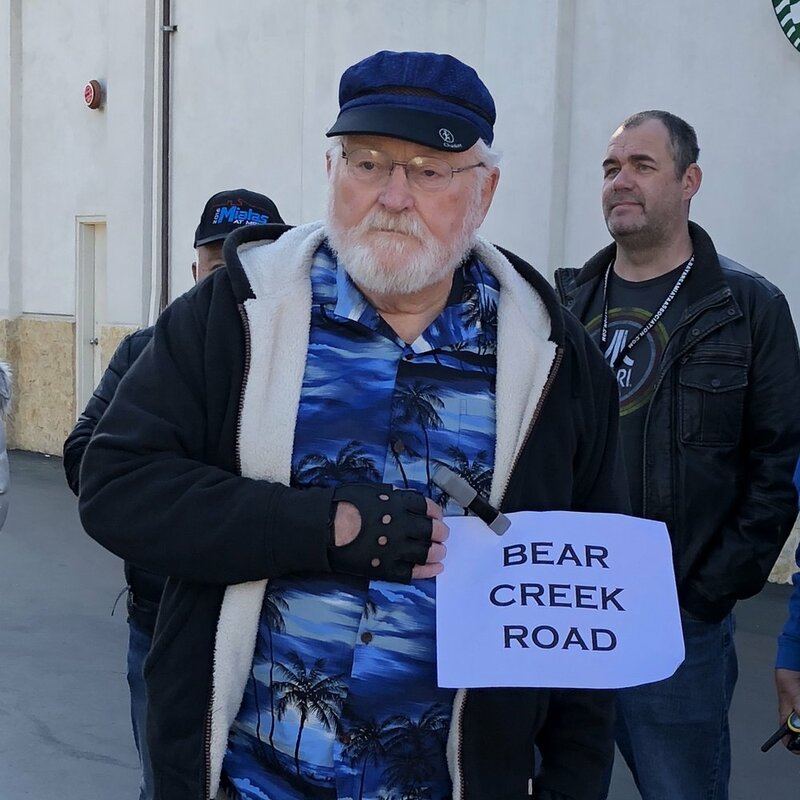 Club VP Gary Allen spoke about the rules of the road and Gorkem who was leading the drive provided details about the route and meet up points if the group got separated. We left Safeway with the total of 12 Miatas and drove to our first meet-up point in ocean beach. We took couple of pictures, enjoyed the beach scenery and started driving to our next destination Rodeo Beach over Marin headlands. We drove passed golden gate bridge, took bunker tunnel and arrived to Fort Cronkhite. We stayed at the beach and socialized for about an hour and started driving to our next destination Marshall store. We passed through Mill Valley, panoramic highway and Stinson beach and continue driving in HWY 1. After about an hour we hit the Marshall store however since it was very crowded, we decided to improvise and eat at Nicks cove a mile north our final destination. It was a sunny, warm morning at our meeting point by Stow Lake Boat House in San Francisco. Jim H. was a surprise addition to the group headed north, and he graciously supplied the sustenance we needed: donuts! With 5 Miatas, we began the run. The view as we passed over the Golden Gate Bridge was superb, as were those along the Hwy-1. Jim came to the rescue when my gpslost connection, getting us back on the correct trail. Thanks, buddy! At our stop by Point Reyes, Jim said his goodbyes as he only wanted to go for a short run with the Club, heading back to San Francisco. We then met up with two more BAMA cars just north of Point Reyes, andcontinued in wonder at the ocean and cliff scenes. At the Dog House in Bodega we met up with one more car. Now, we had a caravan. The stripmall restaurant had a great view to the ocean, and some birds that came with the territory. With “Grad-Night” being a big event in Fort Bragg, we decided to dine early and avoid the crowds. D’Aurelio’s Italian Restaurant supplied our needs with pizza and such. We had travelled 179 really windy, hilly, intense miles, getting to Glass Beach Inn B&B just in time to wind down for the evening. Our last car arrived (had a late start due to a family emergency; all’s well now) and we settled in for the evening. Seven Miatas and one "other" vehicle! The B&B more than met our expectations. The owners were greathosts, providing for our every need. Breakfast was a happy time. 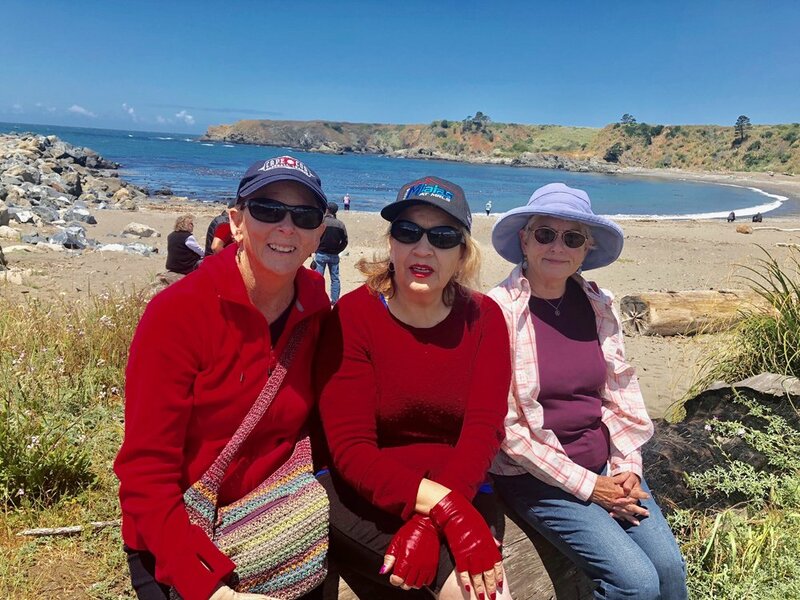 During the day we visited the Mendocino Botanical Gardens (need a day or two to do it justice) with its many floral displays and gardens, then toured parts of Noyo Harbor, dining at the water’s edge, partaking of locally caught fish. Most of us took a break at the B&B while others explored Glass Beachin search of little treasures that wash ashore. Seems there are fewer nowadays. We traveled south about 20 miles to dine at the Albion Restaurant (casual to semi-formal) for the evening meal, enjoying specialties of the house made by Chef Steven and Sous-chef Torri. The sunset on this cliff-side was stellar. Some of us gathered for a chat session and some California wine. Good way to end the day. We had another great breakfast on Sunday. Sure looks like this was a culinary discovery trip. Maybe. After 10am we began our homeward route, this time going inland to enjoy the coastal Redwoods along HWY-128. Our final stop as a group was at Hamburger Ranch BBQ. Great BBQand really good Root Beer! 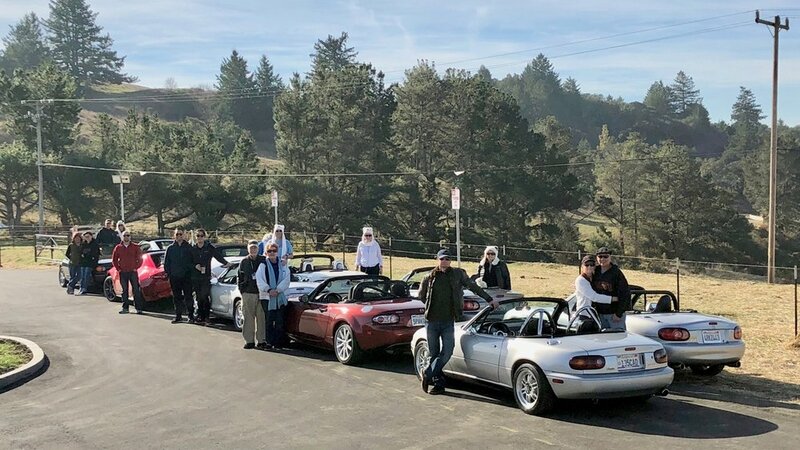 My thanks to those that participated, especially our youngest at 14: Graham L.
On Saturday, May 12, 2018, 18 Miata's from the Bay Area Miata Association rallied at Blvd Coffee of Almaden at 9AM. Several of us enjoyed their delicious coffee and yummy breakfast sandwiches. After welcoming a couple of new members, we ascended to "The Cube" atop Mount Umunhum. We circled the Miatas at the top for group aerial photo. We marveled at the views of the San Jose area but the fog covered Santa Cruz which was a marvel of it's own. We drove back down Mount Umunhum into New Almaden and crossed the South Valley through the Coyote Valley and back up the other side on Metcalf Road passing the Old United Technology rocket fuel testing site. We enjoyed lunch at the at Beach Hut Deli before setting out for Mt Hamilton. Unfortunately, a couple folks had to leave after lunch, the remaining 15 cars made our way to Lick Observatory on Mount Hamilton. Once at the top we enjoyed a fascinating docent talk at the 36-inch refractor telescope. The rest of us had heard a rumor that the road to Livermore was closed until 4PM for construction. It was about 3:30pm when we left the top of Mt. Hamilton. Half of us took the chance to wind our way down the back of Mt Hamilton and through San Antonio Valley. The rest called it a day and headed back down the front of Mt. Hamilton and home. Our gambled payed off and the road was open by time we reached the construction area. We arrived in Livermore via Mines Rd, said our good byes, and drove off into the sunset. 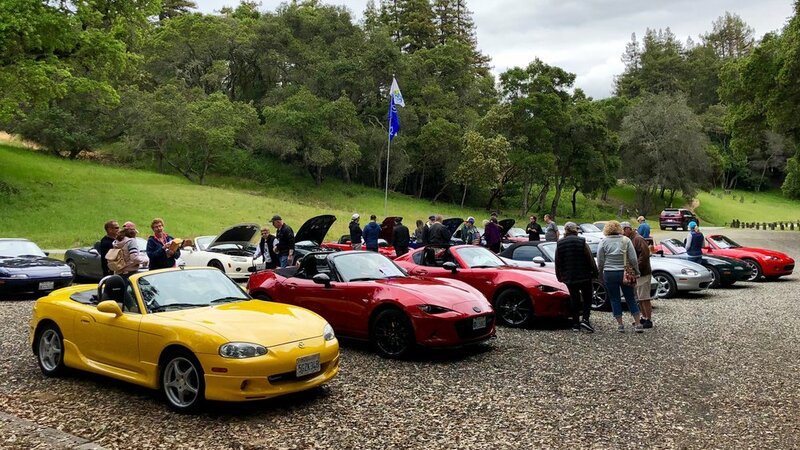 Bay Area Miata Association (BAMA) gathered in Huddart Park in Woodside on Saturday April 28, 2018 to celebrate another successful year as a car enthusiast club. 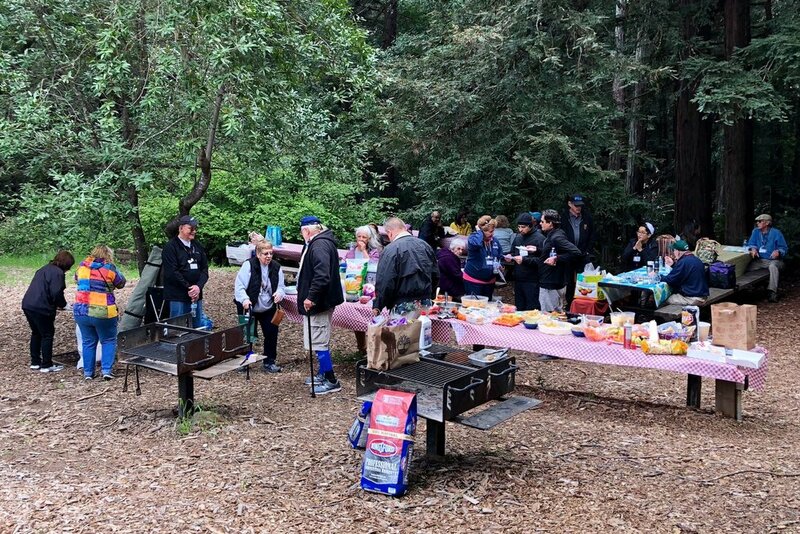 The weather was cool and the rain held off while we all enjoyed each other’s warm company and the delicious variety of picnic food brought to share. Many of us enjoyed second and third helpings. The picnic included a “Shine & Show” event. After enjoying our tasty meal and great conversation, the crowd moved towards the cars lined up in two rows in the parking lot. Owners were dusting off their Miatas and adding the final shine for our special guest, Tom Matano, who BAMA president, Mike A., described as the “Father of the Miata”. Tom had the difficult task of judging which cars were the best of their class. Tom said the cars were all well cared for and maintained, he had some tough decisions to make. Before handing out the awards Tom delighted the crowd with stories about the early history of the Miata. Red sports cars had adorned the covers of popular sports car magazines. Mazda wanted another standout color, along with red, for the original Miatas. Tom said that yellow was supposed to be one of those colors. However, it took some experimentation with primers, etc. to get the yellow they wanted. Tom had suggested “Mariner Blue” which was available 1990 through 1993. Sunburst Yellow was introduced in 1992. Scott A’s 2002 “Sunburst Yellow” was awarded the trophy for “Best NB”. Many thanks to Shirley, Joy & Wendy for planning a very successful picnic. 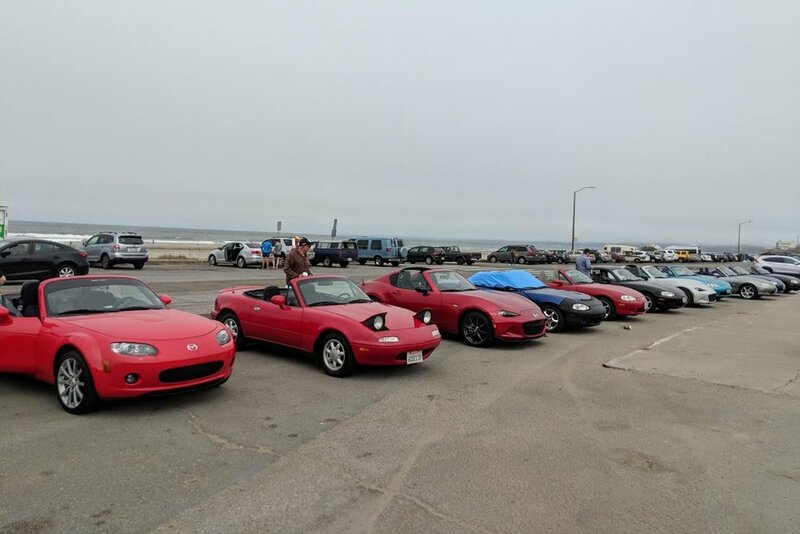 Several Miata owners got together after the picnic and decided to go on a drive to the beach. Gorkem lead the drive through Pescadero and down to Ben Lomand, driving on what seemed to be almost all of the twisty turny roads on the peninsula. We parted ways at Saratoga after an exhilarating drive. We’re all looking forward to next year’s picnic, which should probably include extra blankets and hand warmers. After a bit of a rough start, mostly due to California’s unpredictable Spring weather, the BAMA drivers rolled into their final destination, Filoli, Woodside, CA. The skies turned from rain to nice white fluffy clouds and blue sky. The group divided up into another three groups and followed very knowledgeable docents throughout the house and gardens. The story of Filoli (an acronym for Fight Love Live) is of a great San Francisco family, the Bourns, who made their mark in CA history with gold mines and the Spring Valley water company. The second family who owned the home, the Roth’s, were in transportation (R/R). The house tour included history of the two families who lived in the beautiful countryside estate. Many of the furnishings were owned by the families or were from the same time-period and were donated for exhibiting at Filoli. In 1975 the house was bequeathed to the National Trust for Historic Preservation with an endowment. Its expansive gardens are maintained by 14 gardeners and hundreds of volunteers. The daffodils and tulips were in bloom, the trees were just budding, and the air was crisp from the fresh fallen rain. The tour ended, of course, in the lovely gift shop, where we could purchase mementos, including a plant or two, of our visit to this CA treasure. The resident peacock also made his appearance. On Saturday morning we gathered for some friendly chat and hot coffee before heading out together on one of our favorite runs. 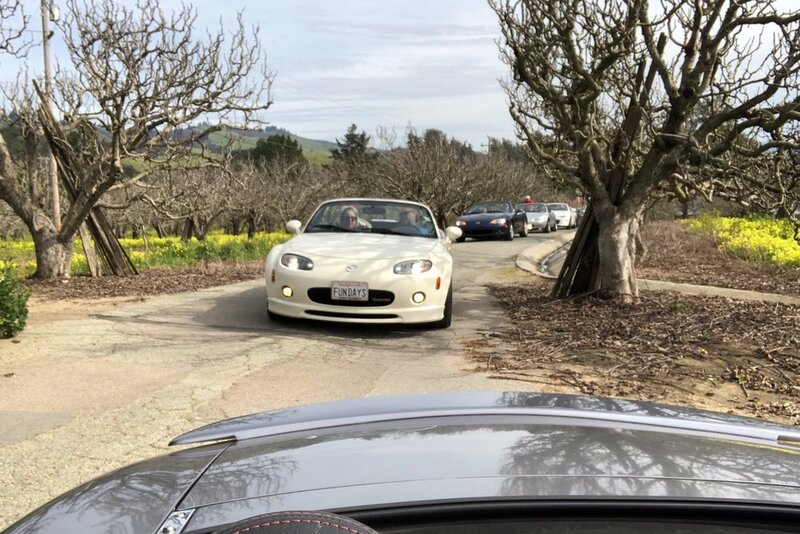 We had about 20 cars, 30 members and guests to enjoy the sights as we zigged-zagged through the Santa Cruz foothills to the coast at Moss Landing and eventually back over the mountain as the fun continued. The weather could not have been better, crisp air and sunny skies make for a great top down ride. Thanks to Walt for orchestrating and leading us on a great trip. Walt found a very nice, scenic route via Bear Creek Road. Phil’s Fish Market did not disappoint and was as delicious as always. Parking is always a challenge at Phil’s as it’s popularity on a sunny, brisk day was very evident. The line to get in was out into the parking lot. From Phil’s we cruised to Castroville to the Farmer’s Market for fresh artichokes and other fresh veggies & fruits. We took advantage of an almost empty parking lot, line up the Miatas for a great photo opportunity. We managed to turn left back onto the highway and drove some wonderful twisty, turning roads to Gzditch Farms for some pie, ala mode, coffee and juice. There we saw another car club, the Thunderbirds! Another great photo opportunity. Filled to the brim with pie, coffee & juice we drove on to Uvas Reservoir to check out the height of the water. The Miata drivers lined up their cars again and the cameras came out again. Now there is some great aerial footage and a couple of videos from our drive on the website. You’ve got to check them out! We have some very talented videographers in the group.